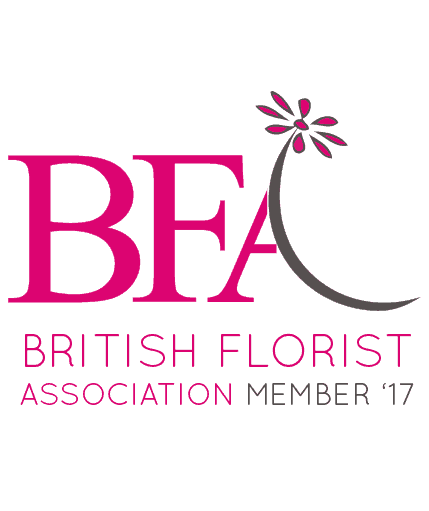 When it comes to planning your big day, we realise how I can be a minefield when it comes to dresses, colours, venues and floral styling. 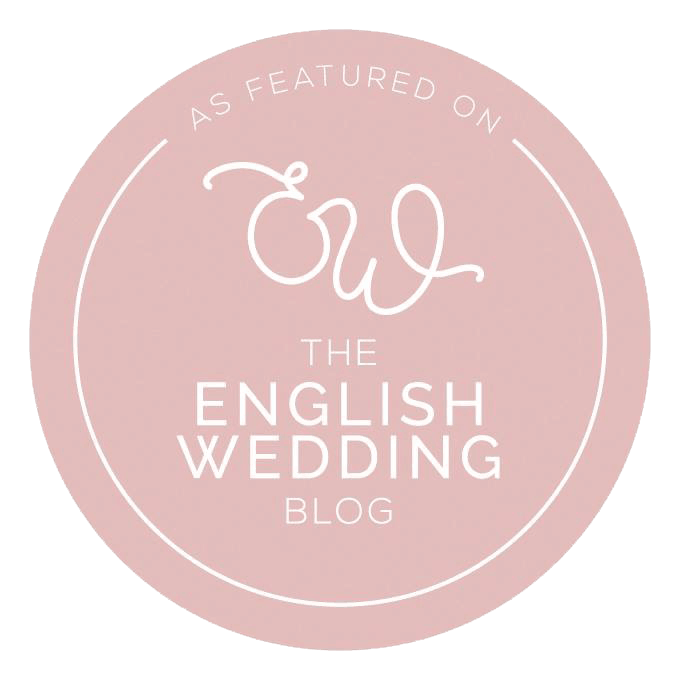 So here is the first of our ‘Real life wedding stories’. I hope you find these stories inspiring, informative and helpful. We begin with the wedding of Jen & Will Cassidy’s that took place on 20th December 2016. 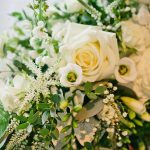 When Jen first approached us to provide flowers for her winter wonderland wedding we were over the moon. I had the pleasure of knowing her for a few years as she used to teach my daughter to dance before setting of for her career as a choreographer in Europe. Which I might add is how she met her now husband Will who was originally from Glasgow. They got engaged in the summer of 2015. She knew immediately that a Scottish Wedding would be perfect and that it had to happen around Christmas time (her favourite time of year). 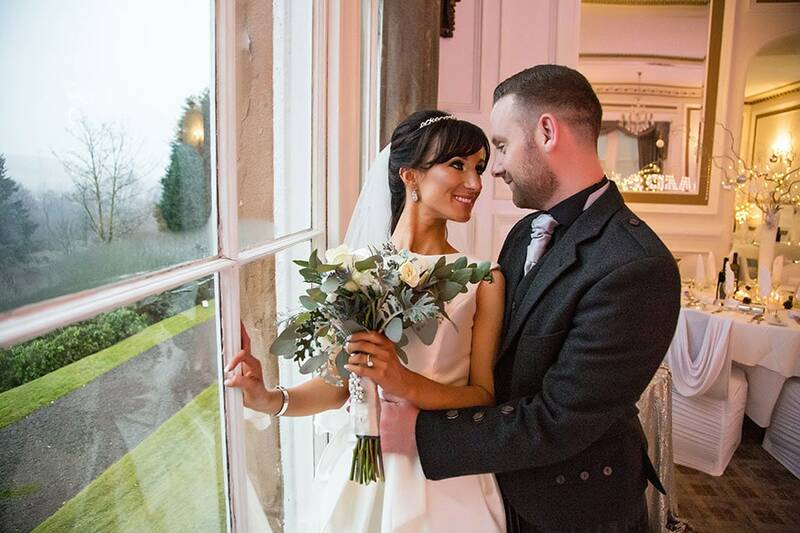 They did their research online and came across a stunning venue, Auchen Castle, near Moffatt . This was set within beautiful grounds, with amazing views and striking interior. Then it came to choosing her dress. Anyone who knows Jen would expect beading and sparkle but after trying several styles she realised that her small frame became swamped by them. She opted to change to a plainer style after finding Eternity Bride, Warrington, Cheshire. She visited the boutique with her mum and grandma. Her mum asked her to try a dress by Pronovias, Jen agreed but didn’t expect to like it as much as she did! It was 2 dresses in 1! A princess gown for the day with a more glamorous fitted style for the evening underneath. A perfect choice for a fashion conscious bride. The style of bridemaid dresses became an easy choice due to Jen’s dress being a plainer than planned . She wanted glitz but she had to take into consideration of the winter/Christmas theme. She chose Sorella Vita sequin dresses in gold and rose gold from Bridal boutique Emma Louise, Bolton, Gtr Manchester. Each dress had a slightly different cut to complement and flatter her bridesmaids bodies. So each girl felt and looked beautiful. 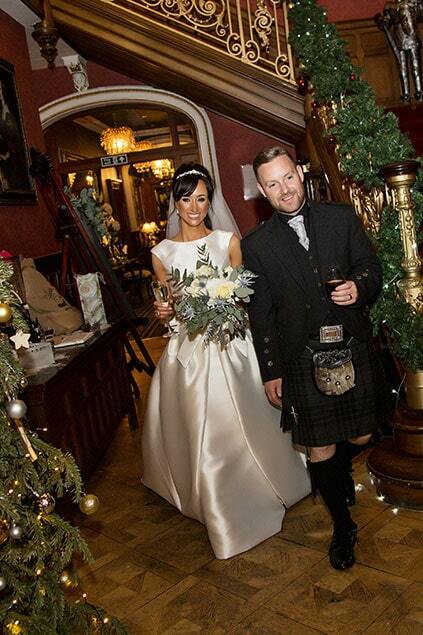 Being a Scottish wedding it wont come as a surprise that the men chose traditional kilts and sporrans! 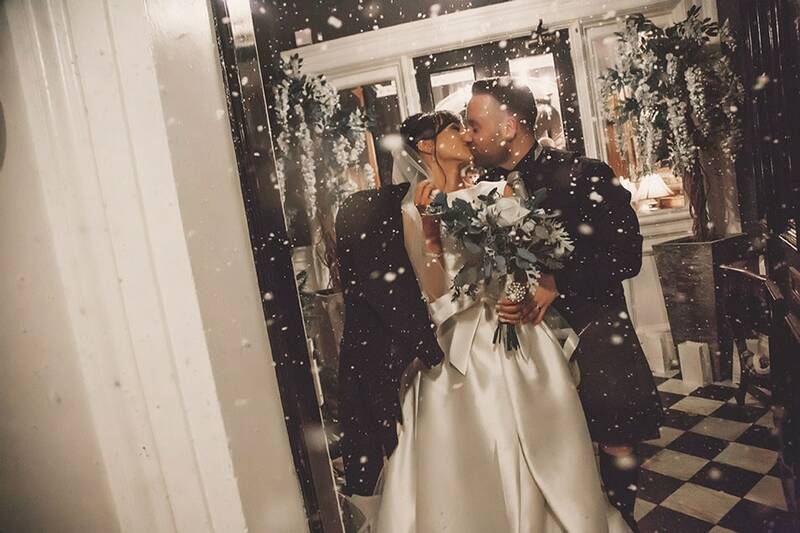 When Jen started to think about the styling and decoration of the venue and bridal party flowers she had an idea of winter wonderland with a glamour twist. She had been inspired by images from Pinterest, but didn’t know how to pull it all together by herself. That’s where our services came into action. First of all we discussed the bridal party flowers, and style of bouquet that jen would like. 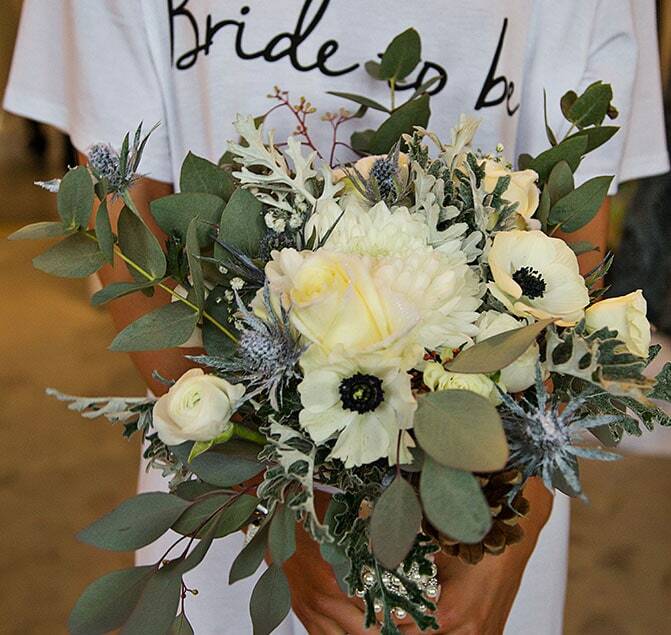 She loved white roses, anemones, she wanted a looser style of bouquet with silver/green foliage texture and asked if we could include some Thistle for the Scottish influence. Playing with the woodland theme we discussed ways to give the bridesmaids something a little unusual, that wasn’t an obvious floral bouquet. We suggested pine cones sprayed with gold and rose gold with some gypsophilia to help to soften the look. 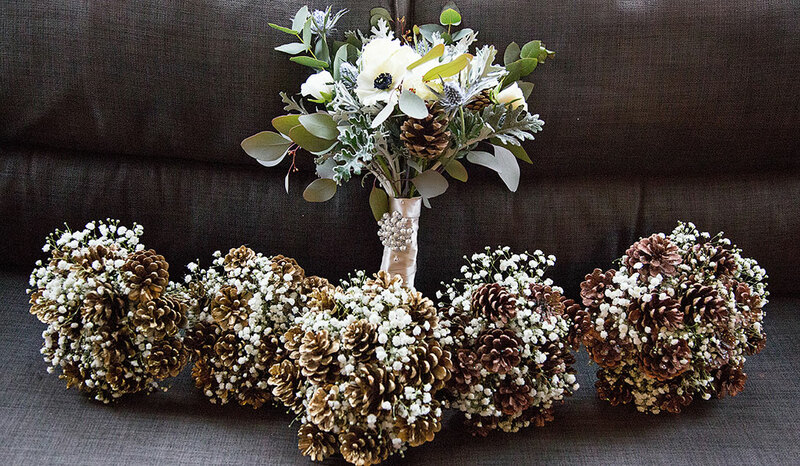 We then decided to incorporate some pine cones amongst her bouquet. The men had thistle and foliage and a textural buttonhole. When it came to the table centrepieces Jen a strong vision of what she wanted. She knew she didn’t want a classic candelabra and that she wanted statement pieces on each table. We decided on white Contorted twigs adorned with twinkling fairy lights and in tall glass vases with an ice effect inside, sat on mirror plates, with scattered crystals. For a clean, elegant and crisp woodland look. The guests each had a Christmas cracker and snowflake name cards and holders. 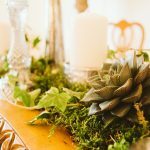 The Top table had gold and rose gold distressed votives with white taper candles sat on candlesticks with various varieties of silver foliages for texture with scattered pine cones. The end result looked absolutely stunning and everything worked so well together . The photographer who captured some of these fantastic memories so beautifully was Pearl and Plum. 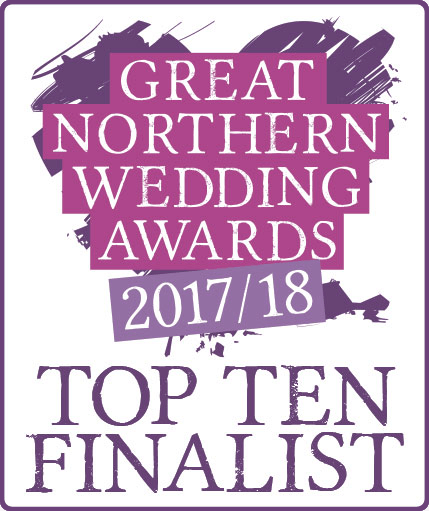 Congratulations once again to a such a lovely couple who had an amazing wedding day that their guests will be talking about for many years to come. Thank you for letting me share your wedding story.